NATO learned from the best. 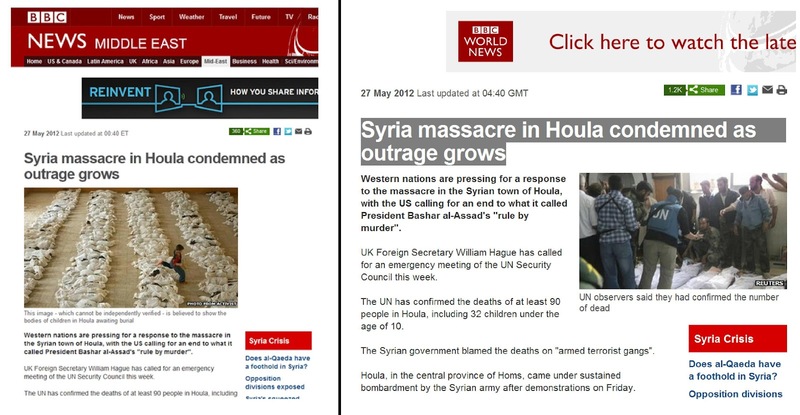 May 28, 2012 - As information trickles out of Houla, Syria, near the city of Homs and the Lebanese-Syrian border, it is becoming clear that the Syrian government was not responsible for shelling to deaths some 32 children and their parents, as periodically claimed and denied by Western media and even the UN itself. It appears that instead, it was death squads at close quarters - accused by anti-government "activists" as being "pro-regime thugs" or "militias," and by the Syrian government as the work of Al Qaeda terrorists linked to foreign meddlers. As the killings were allegedly taking place, US, British, and French representatives were already preparing to accuse, condemn, and level punishment against the Syrian government, calling for an immediate UN Security Council session as well as the convening of the "Friends of Syria" cadre to seek expanded arms shipments and aid to militants. It was politically motivated haste, an opportunity engineered or otherwise, for the West to push forward with its long sought after regime change. NATO during the same period, had just slaughtered a family of 8, including 6 children in Afghanistan, so surely if humanitarian concerns and justice were driving these foreign interests, Afghanistan would have been brought up along with Houla. It unfortunately was not. Image: Before and after BBC's reckless/deceitful journalism. (click image to enlarge) Notice how the image on the left is "unverified" like most of what the Western media reports regarding Syria, and that this photo was supplied by "activists" who have been revealed as serial liars (see here & here). Visit Syd Walker's blog to see the original screen grabs and story. It was also during this haste to publicize and distort the violence to maximum effect, that BBC deceitfully published a photograph of mass graves in Iraq, years old, claiming as they do all their "evidence," it originated from "pro-democracy activists," once again challenging the veracity of a year's worth of claims coming from these consistently dubious sources. It is clear that even after a typical crime, on an average day, in a stable Western nation, the police would not be able to process a crime scene and come to such quick conclusions, unless the police were crooked and already knew all the details of the crime because they themselves were personally involved. 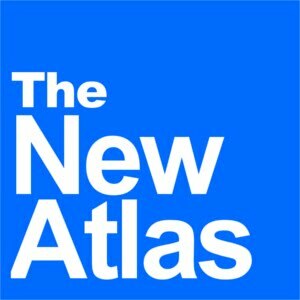 It is clear that whatever happened in Houla is being used desperately as a point of leverage to advance the next leg of the West's insidious agenda, described in great detail by Seymour Hersh in his 2007 New Yorker article titled, "The Redirection" where an American-Israeli-Saudi plot to arm vicious sectarian extremists and unleash them upon Syria was exposed. In fact, in Hersh's article, he interviewed several sources that feared the inevitability of the very violence now seen and being disingenuously leveraged in Houla. While some find it difficult to believe that the West would stage, promote, and/or exploit the sort of violence seen in Houla, we must ask ourselves, "is there any historical precedence that can give us insight or clues to the if's and why's?" Indeed there is. Image: The Summer of 1939, after staging border incidents to frame Poland for unwarranted aggression, Hitler orders the Nazi invasion of Poland. This would not be the first or last time a Western nation used a manufactured "casus belli" to start a war of aggression, now considered a Nuremberg offense and a crime against world peace. We must recall the summer of 1939 when the Nazis, eager to portray themselves as hapless victims and justify acts of military aggression, staged a border incident intended to falsely implicate neighboring Poland. What resulted was German troops attacking a German radio station, and led to Nazi Germany's invasion of Poland. Ironically enough, it is the United States' own Holocaust Memorial Museum that not only gives us an account of these events, but an entire lesson regarding "Deceiving the Public:"
"Throughout the Second World War, Nazi propagandists disguised military aggression aimed at territorial conquest as righteous and necessary acts of self-defense. They cast Germany as a victim or potential victim of foreign aggressors, as a peace-loving nation forced to take up arms to protect its populace or defend European civilization against Communism. The war aims professed at each stage of the hostilities almost always disguised actual Nazi intentions of territorial expansion and racial warfare. This was propaganda of deception, designed to fool or misdirect the populations in Germany, German-occupied lands, and the neutral countries. In summer 1939, as Hitler and his aides finalized plans for the invasion of Poland, the public mood in Germany was tense and fearful. Germans were emboldened by the recent dramatic extension of Germany's borders into neighboring Austria and Czechoslovakia without having fired a shot; but they did not line the streets calling for war, as the generation of 1914 had done. Before the German attack on Poland on September 1, 1939, the Nazi regime launched an aggressive media campaign to build public support for a war that few Germans desired. To present the invasion as a morally justifiable, defensive action, the German press played up “Polish atrocities,” referring to real or alleged discrimination and physical violence directed against ethnic Germans residing in Poland. Deploring Polish “warmongering” and “chauvinism,” the press also attacked the British for encouraging war by promising to defend Poland in the event of German invasion. 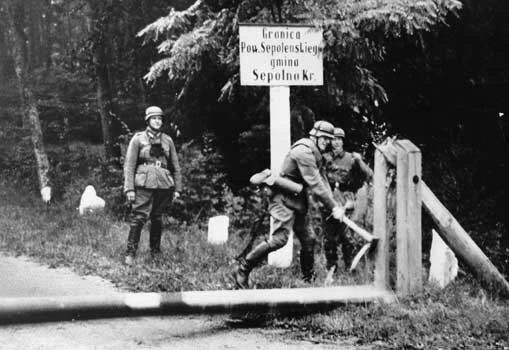 The Nazi regime even staged a border incident designed to make it appear that Poland initiated hostilities with Germany. On August 31, 1939, SS men dressed in Polish army uniforms “attacked” a German radio station at Gleiwitz (Gliwice). The next day, Hitler announced to the German nation and the world his decision to send troops into Poland in response to Polish “incursions” into the Reich. The Nazi Party Reich Press Office instructed the press to avoid the use of the word war. They were to report that German troops had simply beaten back Polish attacks, a tactic designed to define Germany as the victim of aggression. The onus of responsibility for declaring war would be left to the British and French." For the West who swore after the catastrophic loses of World War II that acts of foreign aggression would never be tolerated again, we have allowed the powers of Wall Street and London and those in their orbit, to inch their way from one military conquest to another, from Afghanistan to Iraq, to Libya, Yemen, Somalia, and now Syria. We teeter on the edge of war with Iran, and just like Nazi Germany, those leading us there use an array of threats, terror, promises, and untenable excuses to cross yet another sovereign nation's borders, wage war against its people and impose upon them our systems and institutions we maintain are "superior." Video: Historian, geopolitical analyst, and journalist Dr. Webster Tarpley examines the parallels between the Houla Massacre and Hitler's staged Gleiwitz attack. Since the 1990's, according to US Army General Wesley Clark, the West has sought region-wide conquest of the Middle East through the installation of client regimes. 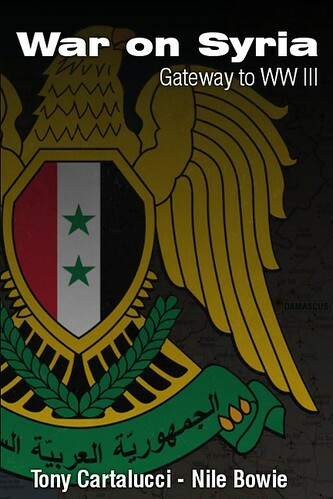 Since 2002, the West has sought to overthrow the Syrian government. Clearly, since 2007, the West conspired against Syria. Years before the term "Arab Spring" was uttered by the Western media, the violence now ravaging Syria was already being planned, with militants already being trained, funded, armed, and staged. The West's desire to intervene in Syria now is most certainly not to save the Syrian people from violence of the West's own design, but to use that violence to expand, just as Hitler had done, through military conquest. If the UN tragically allows the forces of global fascism, poorly dressed as "defenders of civilization," to prevail in Syria, do not fool yourselves into believing, as the German people once did, that there is anything justifiable about it. Houla, like Gleiwitz, is an untenable excuse, not a moral imperative. Germany eventually paid dearly for its continued transgressions against humanity through millions dead, decades of opportunities lost, divided and conquered after being beaten back, and forever to carry with it a marred past. What price do we dare tempt today with ignorance and apathy?